Healing natural oils, also known as essential oils, are oils taken from plants including the stems, leaves and flowers. Use of essential oils for beauty and healing has been recorded for thousands of years and are still widely used today. They are used either topically or in aromatherapy, depending on what they are being used for. So how do we know which oils should be used when? While most essential oils are healing, natural oils are not all created equal. Healing natural oils are cultivated and specifically made for physical use. It is unclear how they work, especially when as aromatherapy, but there are general guidelines and basic oils that are used regularly. When choosing an essential oil to use at home, research where and how the plants are cultivated. This may give you a clue as to how effective an oil may or may not be. Most people use essential oils as aromatherapy. This means adding the oil to a type of aromatherapy diffuser which helps distribute the smell into a room. For example, the oil of lavender may affect and influence the brain in the same way sedative medications work, explaining it's relaxing qualities. Peppermint oil is used widely to alleviate nausea. Rose, bergamot, orange, lemon and sandalwood all seem to have a positive effect in alleviating anxiety and depression. Tea tree oil is commonly used as as antifungal while citrus oils may strengthen the immune system. Fennel and clary sage contain estrogen-like compounds and may help relieve symptoms of menopause or pre-menstrual symptoms. Healing natural oils may be used with a Body Wrap System along with clay to help reduce the appearance of cellulite. 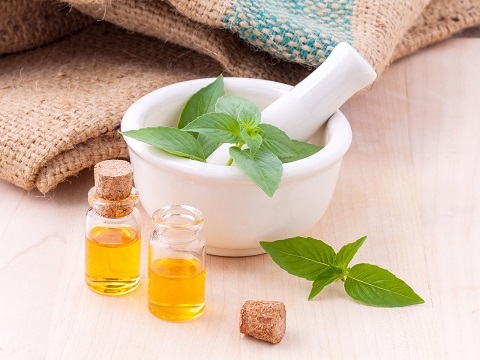 Essential oils are often used in spas in this manner as well as during massage therapy or even in during a steam for not just the benefits, but to add pleasant and healing fragrance to the atmosphere of the facility. When aromatherapy is used with massage, the benefits seem to multiply. This may be due to a number of reasons including the use of aromatherapy with the physical benefits of massage. Stress relief may play a factor as stress and anxiety are relieved with the use of aromatherapy massage. Total Body Cleanse - 5 Steps to Total Body Cleansing; How do You Cleanse? 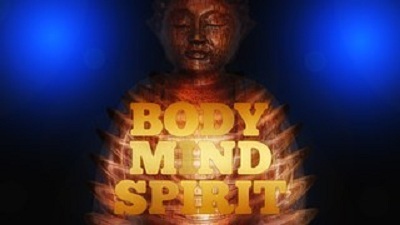 Holistic Healing - What is Holistic Healing and how can it help you? (1) Atsumi T, Tonosaki K. Smelling lavender and rosemary increases free radical scavenging activity and decreases cortisol level in saliva. Psychiatry Res. 2007;150(1):89-96.